The Intergovernmental Commission on trade, economic, scientific and technical cooperation between Russia and North Korea will have its 6th session in Vladivostok on June 5, 2014. The commission will be co-chaired by Russian Minister for the Development of the Far East Alexander Galushka and North Korea’s Foreign Trade Minister Ri Ryong Nam. The session will serve as a platform where parties will discuss both current and prospective areas of intergovernmental cooperation within the trade, economic, scientific and technological sectors, while also discussing the involvement of Russian businesses. The Commission’s previous session was held in August of 2011 and did not lead to significant achievements in expanding bilateral trade and economic ties, which were in dire straits at the time. In 2011, Russia’s volume of trade with North Korea amounted to only a little over $110 million (which is almost 50 times less than North Korea’s trade with China and 15 times less than with South Korea), and this further dipped below $80 million in 2012. The only large-scale project that Russia has been implementing in North Korea since 2008 was a project to connect the railways of the two countries. The project would restore a 54km stretch of railroad from the Khasan Station in Russia to the Radzhin Port in North Korea while also constructing a cargo terminal in the port to enable thorough traffic with access to the Trans-Siberian Railway. The railway project that needed over $250 million of investments from Russia has presently been almost fully implemented. This new infrastructure should begin fully operating in the near future. Russia initially viewed the Khasan-Radzhin project as a sort of benchmark for testing if closer trilateral relations can be established between Russia, North Korea and South Korea in order to connect the Trans-Siberian and the Trans-Korean Railroads. However, South Korea’s participation would be necessary to make this a reality. Yet this aspect of trilateral relations quickly became doubtful after inter-Korean relations worsened in 2008 and after Seoul prohibited trade and economic ties with North Korea in 2010. Two other large projects which Moscow has bet on to foster closer ties with North Korea are presently frozen (this is the construction of a gas pipeline through North Korea to South Korea and the supply of Russian electricity to the Korean Peninsula). Amidst this situation, the Russian leadership made a political decision to intensify bilateral relations with North Korea, stimulating interest towards the country on the part of Russian businesses. This is evidenced by a whole host of events that took place over the last few years. The issue which was often called one of the main obstacles to expanding trade and economic relations between the two countries – North Korea’s debt before Russia – was finally settled not long ago. On September 17, 2012, the Russian and the North Korean governments signed an agreement to resolve the issue of North Korea’s debt to Russia with respect to the loans provided during the former Soviet Union. On May 5, 2014, the Russian President signed a federal law ratifying the agreement. Contacts between Russia and North Korea in the economic sphere have significantly intensified since the beginning of 2014 both on governmental and regional levels. During the visit of Russian Minister for the Development of the Far East Alexander Galushka to North Korea on March 24-28, 2014, both sides set a goal of substantially improving mutual trade and increasing volumes up to $1 billion by 2020. In 2013, trade between the two countries amounted to a little over $100 million. To increase bilateral trade almost ten-fold over 7 years, it is necessary to significantly expand economic cooperation. Only time will tell which sectors this expansion will affect, however, the necessary preparations are already underway. In particular, Russia and North Korea have agreed to facilitate the transfer of transactions to the rouble and to resolve issues of cooperation between banks, which is very important in order to conduct banking transactions between the two countries. On April 28-30, 2014, a large delegation headed by Presidential Representative in the Far Eastern Federal District Yuri Trutnev made an official visit to North Korea. The delegation included the heads of the Amur Oblast, Primorsky Krai and Khabarovsk Krai, who confirmed their regions’ interest towards further expanding economic relations with North Korea. Prior to this, a substantial delegation from Tatarstan headed by the republic’s President Rustam Minnikhanov paid a visit to North Korea in March of 2014. Up until now, this Russian constituent territory had virtually no economic contacts with North Korea. However, during this visit, it became clear that both parties had a fairly large number of overlapping interests and a decision was made to create a joint taskforce on the cooperation between Tatarstan and North Korea. According to direct participants, the North Korean side demonstrated an unprecedented level of openness during negotiations with the Russian representatives. The country’s authorities expressed their readiness to create the necessary environment for Russian businesses to expand operations into North Korea. In particular, discussions touched on the subject of simplifying the process of issuing multi-entry visas, providing mobile communications and internet, guaranteeing the protection of investments and providing access to North Korean legislation related to the operation of special economic areas. Over the last two years, several large Russian companies have expressed interest in partnering with North Korea. Projects undertaken by the Basic Element Group in the area of civil car manufacturing and renovating energy-related facilities, projects in the sphere of railway partnerships between North Korea and Mostovik, a large Omsk construction company, and other projects are currently being discussed at the intergovernmental level. One important point to consider in further expanding trade relations between Russia and North Korea is developing road links between the two countries. 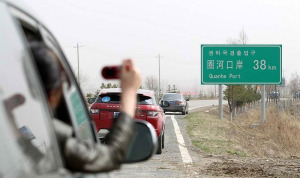 They are presently only connected through rail, but the North Korean side has long been offering proposals to construct a road bridge. 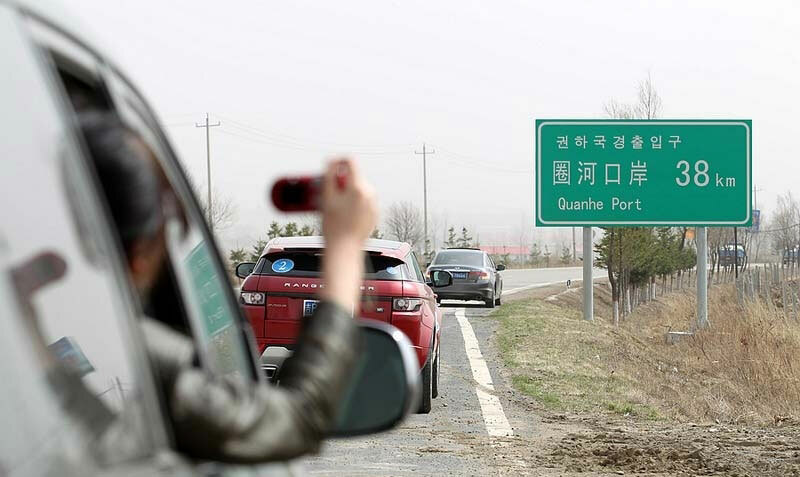 An agreement was reached in March on accelerating the preparation of intergovernmental agreements on the international road link, which is a hopeful sign that the present topic will soon move into the area of practical work. It is important to note that at the present stage, Russia is ready to expand economic relations with North Korea on the condition that they be mutually beneficial and follow market principles. There are no talks about returning to the relationship model practiced in the soviet period. Despite the defining role that the Russian government is playing to stimulate economic relations with North Korea at the present stage, it is important that the initiative be passed to private companies after the necessary institutional conditions are created and certain experience is acquired. Lyudmila Zakharova, Ph.D. in Economics, senior research fellow at the Centre for Korean Research in the Institute of Far Eastern Studies at the Russian Academy of Sciences, exclusively for the online magazine “New Eastern Outlook”.